I already featured a lot of the electric vehicle models that were on display at the 5th EV Summit and this second part adds to those in the Part 1. There are some new models in the following photos including a mini-bus model that features a lot of doors and a similarly-designed jitney model. I took photos of the interiors as well to give the reader an idea of the layout of these models and perhaps imagine how they could fit as potential public utility vehicles. Rear seats facing the back instead of the front – the large window gives passengers a nice clear view of following vehicles, among others. The minibus had many doors (8 total) to allow passengers to board and alight from each row. Jeepney-sized version of the minibus also featured multiple side doors (6 of them for this vehicle). The variety of electric vehicle models and the increase in the number of industry players is encouraging. Interest in electric vehicles have steadily increased over the past half decade. Perhaps the government should have a stronger role as catalyst or enabler for this industry to flourish and perhaps transform not only the public transport scene but also for people to adopt e-vehicles for private use. This can only be done if the proper incentives are in place that include policy, fiscal and financial instruments favoring electric vehicles as well as their hybrid relatives. These will go a long way towards a low carbon transport future for the country. I saw this electric tricycle while traveling along Marcos Highway in Antipolo City. There are already a number of e-trikes operating in many cities around the country including several in Metro Manila but this one seems to be the inferior to the designs I have features in previous articles in this site (Note: Refer to the post on Vehicles at the 3rd Electric Vehicle Summit for a sampling of e-trike designs). Those designs were mostly inspired by the Asian Development Bank (ADB)’s concept electric tricycle design for their project that sought to replace conventional tricycles with electric ones. This e-trike appears to be a clumsy design and I have questions regarding its stability and operating characteristics, which have implications on road safety. Note that the e-trike in the photo above is not registered. Otherwise, it should bear an orange plate from the Land Transportation Office (LTO), which incidentally classifies e-vehicles as low-speed vehicles. This classification basically restricts most e-vehicles from traveling along national roads such as Marcos Highway. Did Antipolo secure an exception or exemption for these vehicles? Are traffic law enforcement personnel turning blind eye to the operation of these vehicles along busy highways like Marcos Highway and Sumulong Highway? How safe are these vehicle designs? There have been a few setbacks for sustainable transport in the news recently and not so recently. One is the burning of an electric vehicle, a COMET to be precise, that saw one unit burn to the ground near the UP Town Center along Katipunan Avenue. I am not aware of any official or formal findings being released as to what really happened to the vehicle but that is basically a big PR problem now as detractors of e-vehicles will point to the incident as proof that e-vehicles still have a long way to becoming a viable and safe option as public utility vehicles. E-vehicles have a lot to prove especially as an option for public transport and such setbacks only strengthen the argument against them and leaves us with the current conventional options. Another is the discontinuance of service inside the Bonifacio Global City (BGC) of hybrid buses operated by Green Frog Transport. This one is due to what Green Frog described as exorbitant fees being charged by Bonifacio Estates Services Corp (BESC) for their buses to enter BGC. This is making the rounds of social media but there seems to be no response from BESC nor from the Bases Conversion and Development Authority (BCDA), which is supposed to also have a say with policies in BGC. Perhaps BESC thought it best to just give Green Frog the silent treatment for what appears as a trial by publicity approach by Green Frog. One commuter commented that maybe BGC authorities should push for their Fort Buses to be hybrid and phase out the jeepneys in favour of higher capacity transit inside BGC. There have also been issue on road safety including many incidents of pedestrians getting run over by vehicles. Many of these have been captured on video particularly by the Metropolitan Manila Development Authority (MMDA), which has set-up a network of cameras in many intersections along major roads. Many show vehicles Given that many cases feature jaywalking, it is still the responsibility of any motorist to exercise caution when manoeuvring, especially when turning at intersections. Drivers will always have blind sides or weak sides when they manoeuvre so they should be very careful when in doubt and not immediately proceed when it is not clear that they have a clear path. At BGC (again) one will notice that many motorists do not give way to pedestrians even when the latter are crossing at the right locations and according to the sign clearing them to cross the street. In one case involving two speeding SUVs, one lost control and hit a pregnant woman crossing the street. While a significant number of vehicles in BGC are through traffic, it is still the responsibility of BGC’s traffic enforcers to ensure motorists follow traffic rules and regulations including prioritising safety over haste. Simply attributing such safety issues to through traffic is no excuse for traffic enforcement being as lax as or par with the rest of Metro Manila, especially for a CBD that packages itself as better than the rest of Metro Manila. There is a strong sentiment against electric jeepneys along the route where the COMET is currently operating. This opposition has always been there even before the COMET came about. I would like to think that this is partly due to the perception among many operators and drivers that conventional jeepneys would be phased out and replaced by e-jeepneys. But then isn’t this replacement supposed to be an upgrade in terms of having a more energy efficient and therefore economical vehicle that had a significant bonus of being low emission as well. I finally got a photo of the sign Katipunan jeepney operators and drivers put up at the terminal below the Aurora Blvd. flyover. Given the recent innovations and the rapid advances in electric and other fuel vehicles, it should come as no surprise that more reliable and more efficient models of these vehicles will be available in the market. 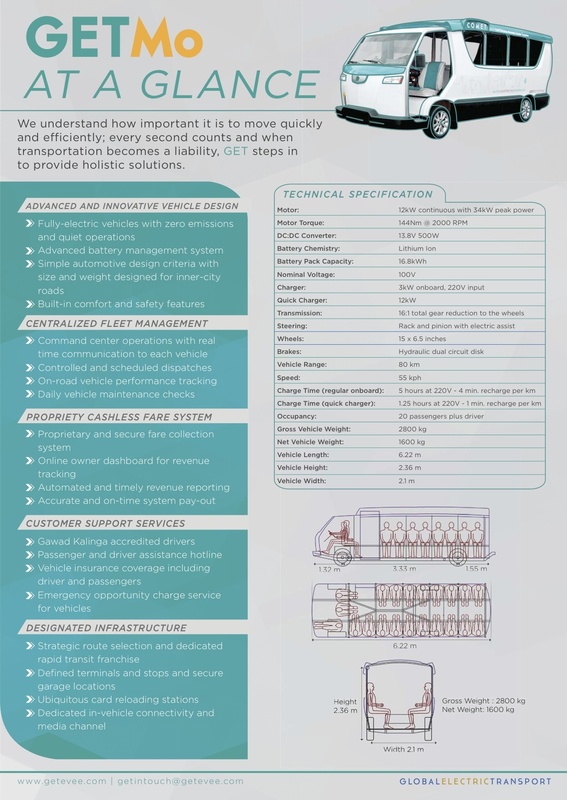 In the case of the Philippines where the thrust for e-vehicles is focused on public transport, there will eventually be a model that will comprehensively beat conventional jeepneys in every aspect. That is, if there is not yet a model that good. Arguably, the COMET and the latest e-jeepney model (BEEP) are already better than conventional jeepneys. However, their acceptability is pending with operators and drivers who seem uninterested with the case against conventional jeepneys. Perhaps these people are being fed false information by another party? Hopefully, they will open their eyes and mind to the reality that will eventually catch up with them if they do not embrace change.